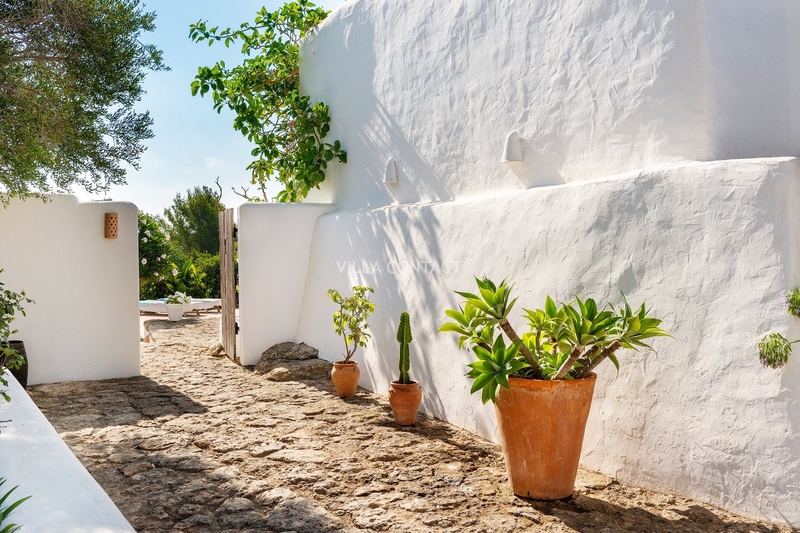 This gorgeous traditional finca is the epitome of the Ibiza dream. 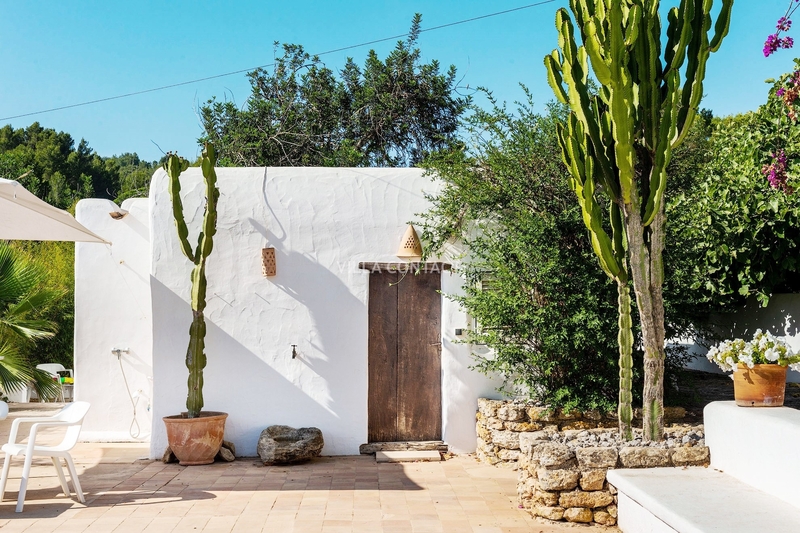 Lovingly and sensitively restored this lovely home oozes with traditional charm while providing all the essentials for a contemporary Ibiza lifestyle. 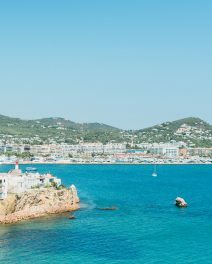 Located in a tranquil part of Santa Eulalia this property is close enough to all the amenities of the town and far enough for total privacy. Unfolding over 377 square metres across one level the property consists of a main residence plus two independent guesthouses. 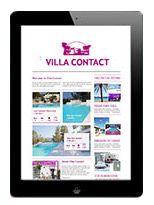 Flooded with natural light from sunrise to sunset this is the perfect home to create your ideal island life. 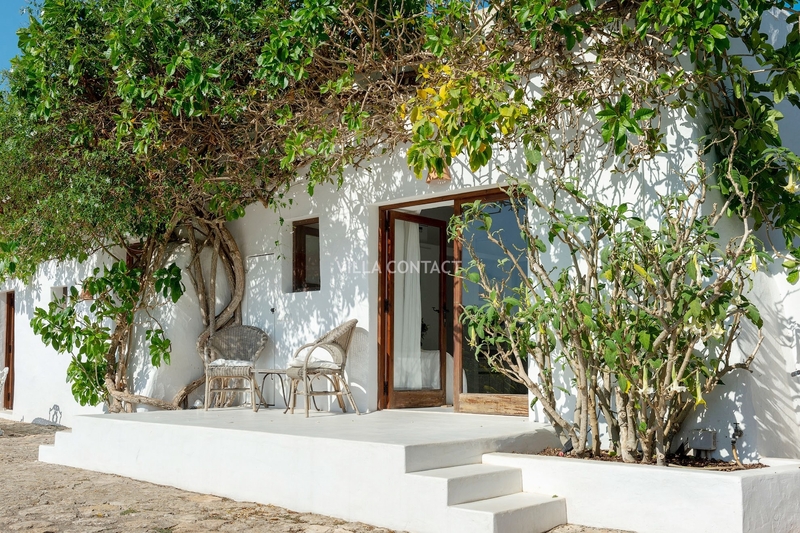 Following the traditional style, the finca boasts a grand Ibicenco entrance ‘sala’ into the main living area. The large fireplace delivers glowing warmth in the winter months. 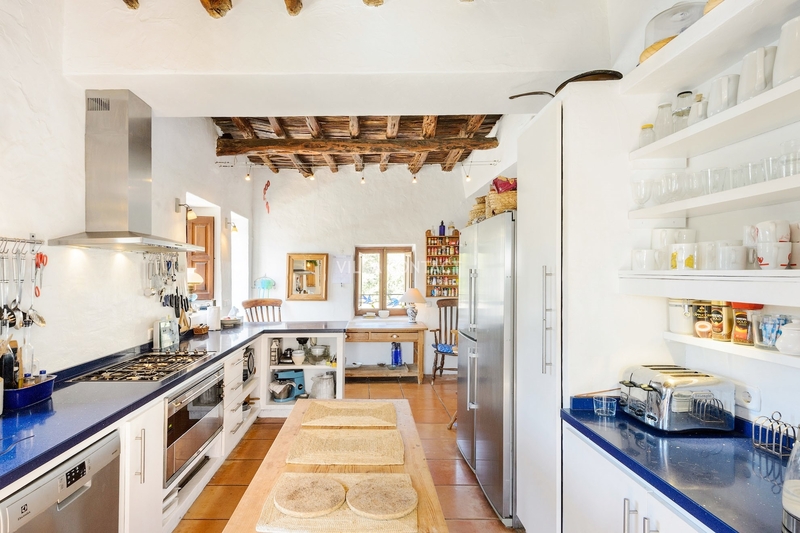 Whitewashed walls provide a gorgeous texture while the exposed Sabina wood beams reflect the beauty of the ancient design. Bright and brand new the galley style kitchen opens to an informal dining area. Wood beams and shuttered windows overlooking the garden add to the farmhouse appeal. Many a gourmet meal will be prepared and in the summer months enjoyed alfresco under the covered porches. The master suite features double height ceilings and an ensuite bathroom while the other two double bedrooms have ensuites and access to the terraces. 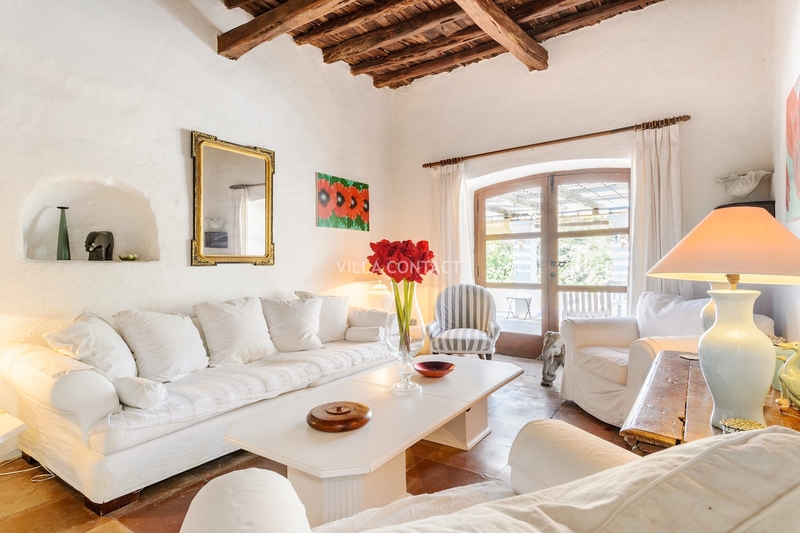 Decorated in shades of white with lovely wood finishes the interiors are simple and fresh. Having two guesthouses on one property is a real treat. 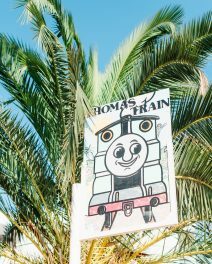 The first guesthouse consists of a double bedroom with ensuite, kitchen, private terrace and separate parking. The second guesthouse is annexed to the first and has a double bedroom. Perfect for visitors and entertaining or for a multi-generational family. Lush and mature gardens surround the villa providing a gorgeously green contrast to the whites and woods of the house. 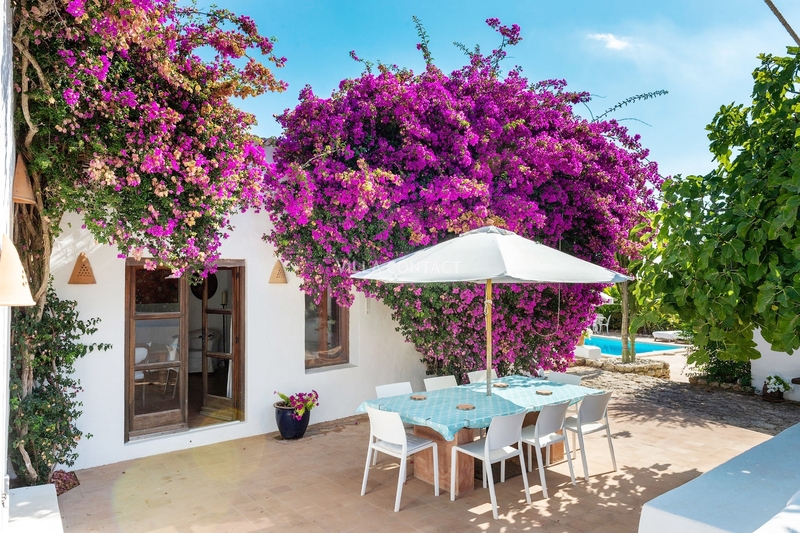 Fig trees, orange groves and blushing Bougainvillea add to the charm of the Mediterranean garden. 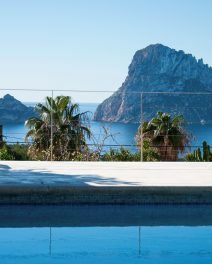 Here the pristine pool sits surrounded by terraces and palm trees and the sparkle of the distant sea beyond. 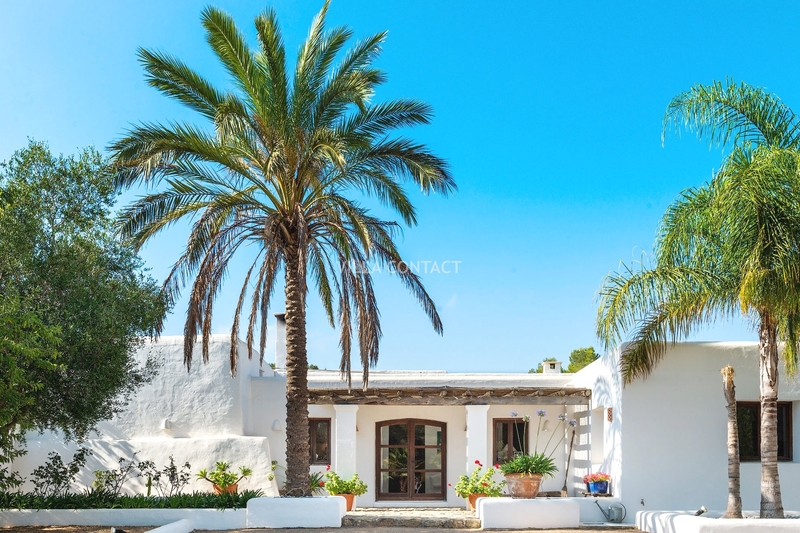 Situated near some of the east coasts favourite beaches, this gorgeous family home is a real Ibiza gem. 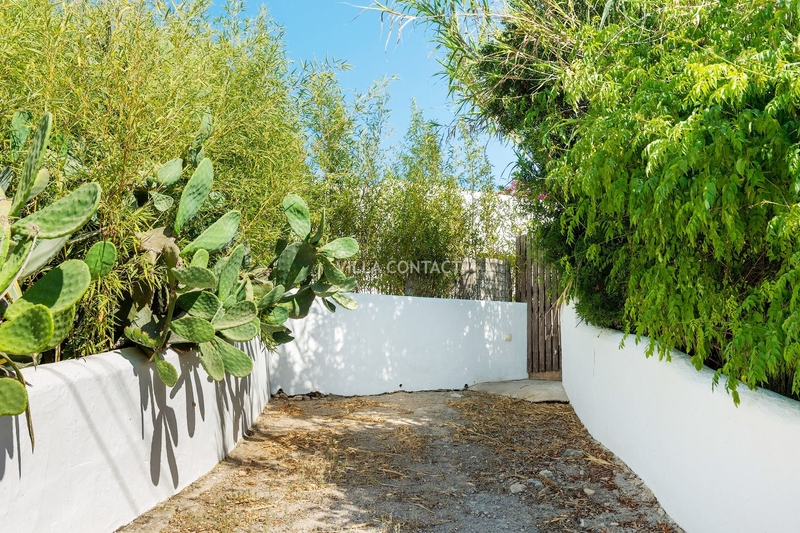 Move in and start your island life straight away!